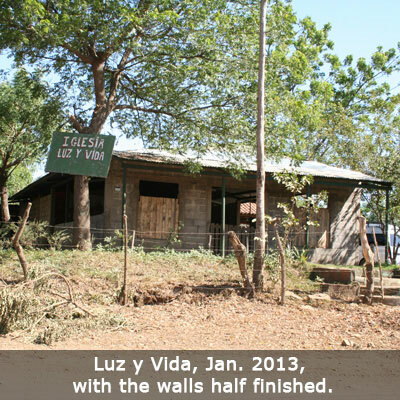 The men have taken to “cooking for a cause” at the Luz y Vida (Light and Life) Church in Leon, Nicaragua. 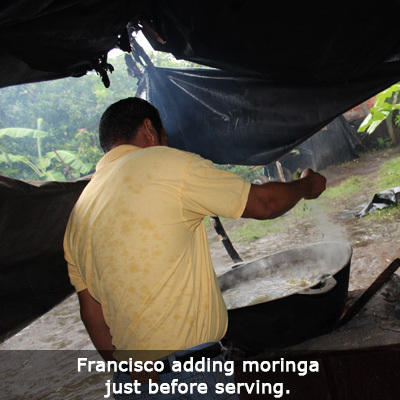 Each Sunday, one of the men cooks a HUGE pot of soup using his own recipe. 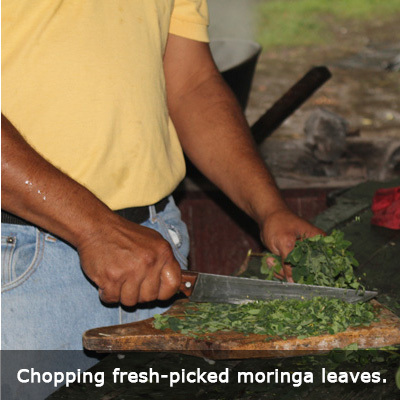 He then adds lots of fresh moringa leaves just before the soup is ready to serve (to preserve all the nutrients in the leaves). 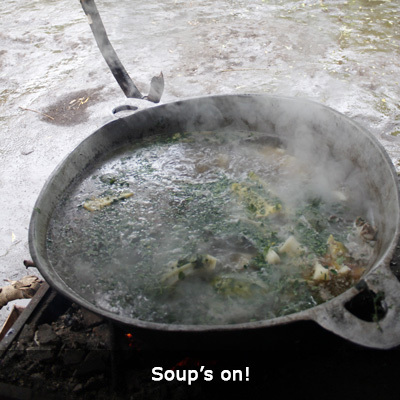 The heaping, steaming bowlfuls of soup are sold to the congregation members and everyone sits down to share a hearty lunch. 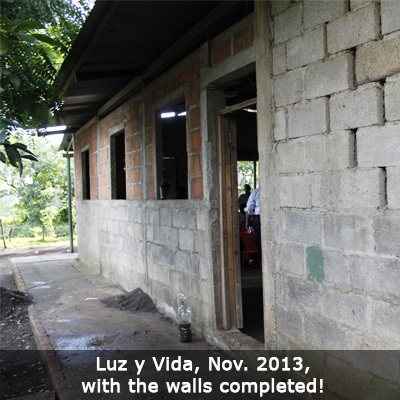 The money that is raised is being used to finish the walls of the church. 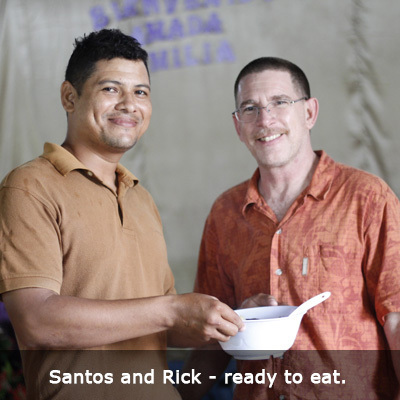 The men are leading and serving, everyone is getting great nutrition through the moringa soup and the walls of the church are being completed! What a great job these guys are doing! Ceci est un bon projet a encourager. J’ai debute aussi la production du moringa a Noepe au Togo en Afrique de l’ouest. Du courage et que la grace de Dieu vous accompagne.